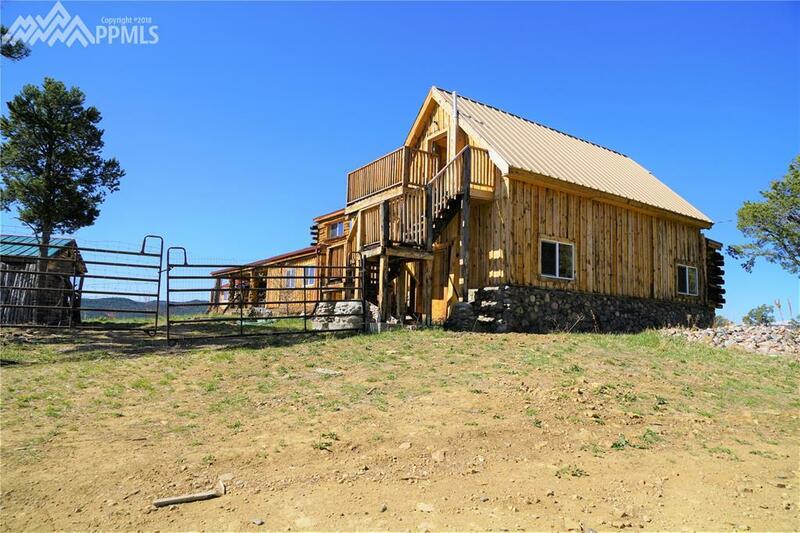 Timber Canyon Retreat is a secluded 40-acre, ag-zoned property with a unique, handcrafted log home offering the character of a log cabin, but with ample space and flexibility of use. 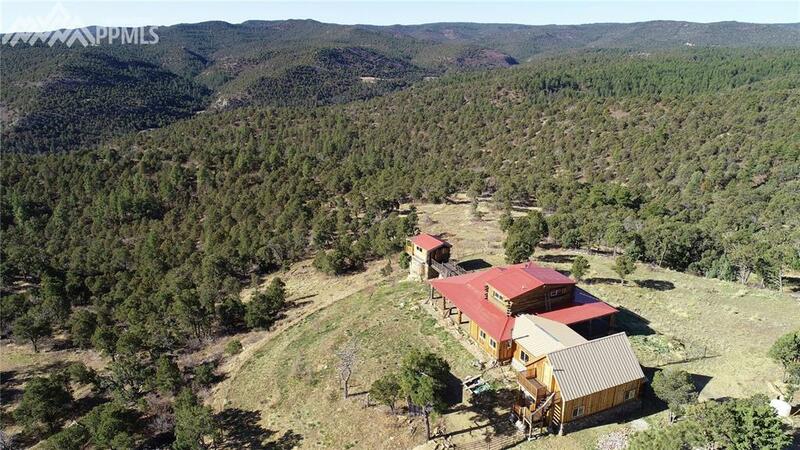 Located just north of Trinidad, Colorado, and the New Mexico state line, the property is 6 miles west of I-25, and easily accessed. 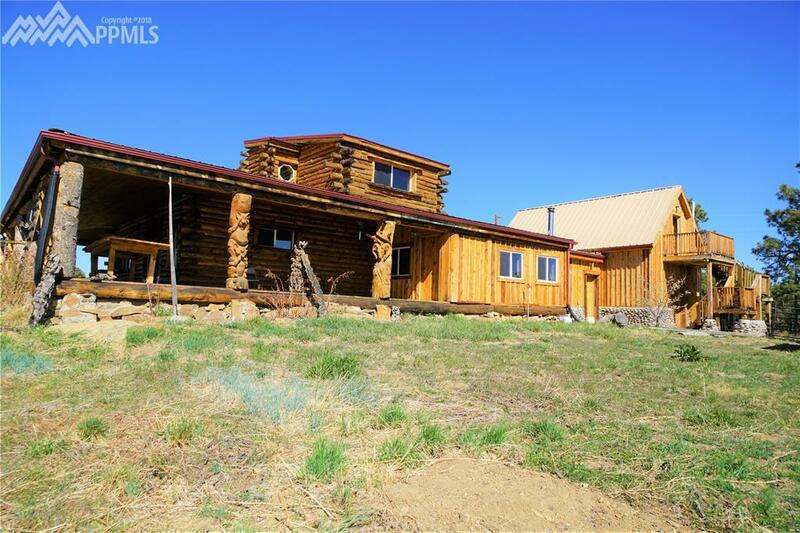 The wooded property offers stunning views, Ã¢â‚¬Å“end of the roadÃ¢â‚¬Â seclusion, and frequent visits from deer, elk, turkey and other wildlife. 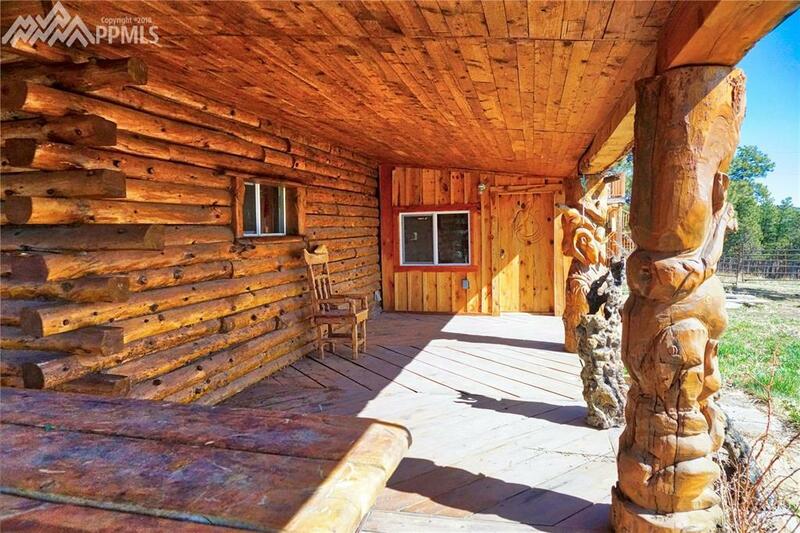 The custom, handcrafted log home is unlike any other Ã¢â‚¬â€ period Ã¢â‚¬â€œ and features a vast wraparound deck, hardwood flooring, and numerous artisanal touches, including handcarved doors and a handcarved spiral staircase. ThereÃ¢â‚¬â„¢s a private guest suite above the attached, oversized garage. The home is easily heated by two wood stoves. ** Outside, an elevated walkway leads to a separate building, a two-story retreat that can be used as studio or workshop space, additional guest quarters, or simply a quiet place to take in views that stretch all the way into New Mexico. ** The property meets the acreage requirement for a domestic well permit, allowing for household use, livestock watering, and limited irrigation. The existing water source is a 1,500-gallon cistern, ensuring ready and reliable water access. ** Timber Canyon Retreat is suitable as a year-round residence; the ag- and outdoor-oriented town of Trinidad is about 15 miles away. The property is also uniquely suited as a vacation getaway or second home. ** Commutes via I-25: Pueblo: 80 miles, Colorado Springs airport: 125 miles, Denver: 200 miles. ** Recreational opportunities: Taos Ski Valley: 150 miles, Great Sand Dunes: 110 miles, Wolf Creek Ski Area: 170 miles. Listing provided courtesy of Hayden Outdoors Llc.